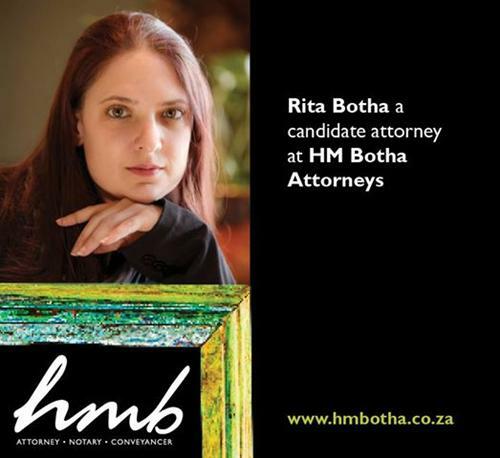 Small vibrant legal firm specialising in property law, conveyancing, experts in deceased estate transfers, all notarial work - authentication of documents, antenuptial contracts, trusts, wills, as well as drafting and registration of documents at the Department of Minerals of Energy.Pretoria. Also has a consultation room in Pretoria and deals with lodgments of documents at the Johannesburg & Prtoria offices of the Registrar of Deeds. 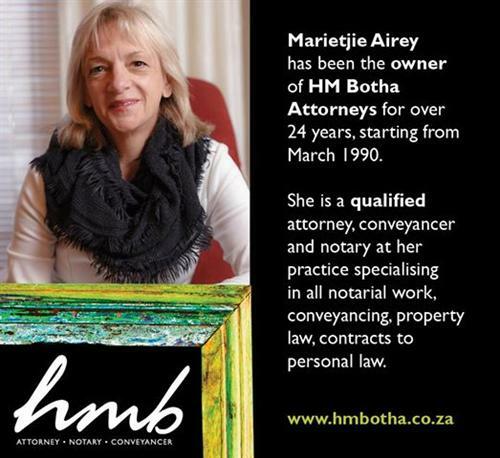 Small vibrant legal firm specialising in property law, conveyancing, experts in deceased estate transfers, all notarial work - authentication of documents, antenuptial contracts, trusts, wills, as well as drafting and registration of documents at the Department of Minerals of Energy. Also has consultation room in Pretoria and deals with lodgments of documents at the Pretoria and Johannesburg Offices of the Registrar of Deeds.